Project SNOWstorm has been monitoring breeding snowy owls in the Canadian Arctic since the 1980s. Image by Erin Kohlenberg. This week…we were fascinated by the intelligence and dexterity displayed by this octopus gathering and storing a coconut shell to use for protection. 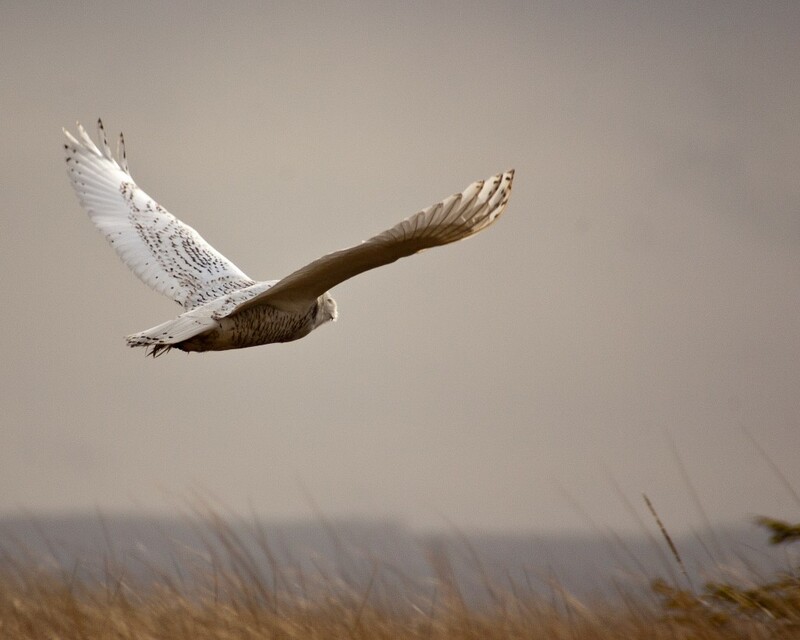 We caught up on project SNOWstorm – a research endeavour which monitors the summer breeding areas of snowy owls in the Canadian Arctic. We discovered how the flight of hummingbirds is more similar to that of insects than that of other birds. November was Manatee Awareness Month: This vulnerable species, long time provider of fuel for mermaid myths, now number less than 10,000 in the wild. The mystery of large numbers of dead porpoises washing up on the Netherlands coast was finally solved, with grey seals proving to be the surprising culprit. A PhD student at Brunel University, London, created an ingenious DIY microscope to measure cell motility, saving himself hundreds of thousands of pounds. And finally…a unique way of dealing with invasive species: The first beer made from invasive pond weed and zebra mussels went on sale in Minnosota. Irish Bats in the 21st Century summarises the considerable body of bat research and surveillance that has been undertaken in Ireland in the 21st century, much of it by citizen scientists. Mammals of Mexico is the first English language reference on the 500+ species of mammals found in diverse Mexican habitats – from the Sonoran desert to the Chiapas cloud forests. The Ridgid SeeSnake CA-25 is an affordable endoscope with a 17mm waterproof camera head. This Ultra High Resolution Nest Box Camera from Gardenature comes with a nestbox designed to BTO and RSPB guidelines and contains everything you need to start watching straight away.